How to deal with robots that get smart and will be part of every aspect of our lives as they go online? That was the central question during the second and final day of the International Masterclass Robotics 2016. Gerard Smit, Chief Technology Officer of IBM Benelux concentrated on all the benefits artificial intelligence can have on human life. He illustrated it with all the applications IBM’s Watson has: from a designer dress to a cyber chef and a robotic cocktail-making bot. The developments are going fast. He predicted that from 2045 onwards it will be able to upload your consciousness into a computer-system. Immortality in reach within 30 years… wow! After her talk, the floor was to the robots again. 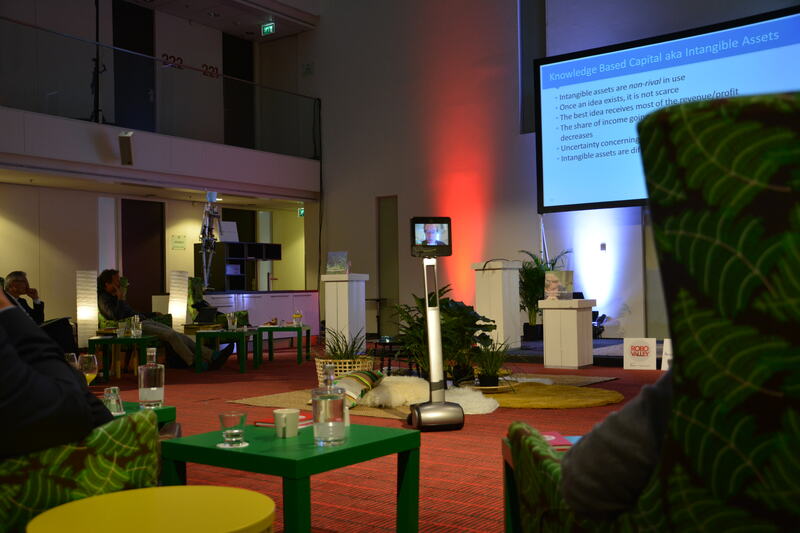 A Pepper robot introduced associate professor Koen Hindriks and his Robo-Tutor. What followed was an interactive session about the benefits of bringing robots to the classroom. Pepper and Nao were a duo. But what if you bring in a complete swarm of robots, smart robots? What will that do mankind? A lot, said associate professor Chris Verhoeven. “Robots are animals”, he argued. They have electronic nervous systems, electronic muscles and can communicate with each other. These electroids, as Verhoeven calls them, will be responsible for a next step in evolution. 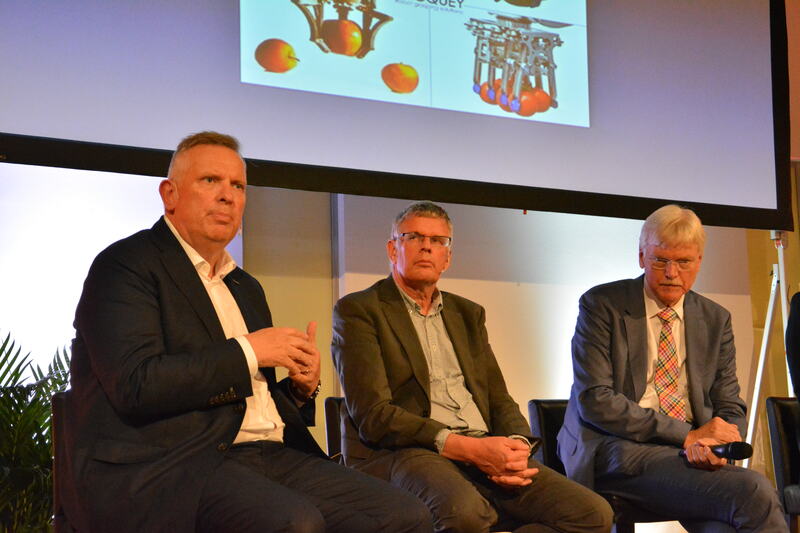 "Without humans, you get very strong swarms that learn to survive"
Coming to an end, it was time to discuss business with the Valorisation Panel consisting of RoboValley’s co-founder Arie van den Ende, Paul Althuis of the TU Delft Valorisation Centre, Uwe Haass and Arthur de Crook. Together with the participants, they discussed statements about tech-transfer: How to improve the investment climate? And how can Europe stay competitive? The strength of RoboValley is the collaboration which leads to the development of new robots, argued Haass. “You have to have shops in this network where people can come in and actually look at robots. So they can see: hey, this is an agricultural robot. I have never seen one, but now I have an idea about how to use them for my potatoes.” Just share it with others. Thank you Haass, and let’s start sharing right away! We closed the masterclass by giving the floor to Bram Vermeer. 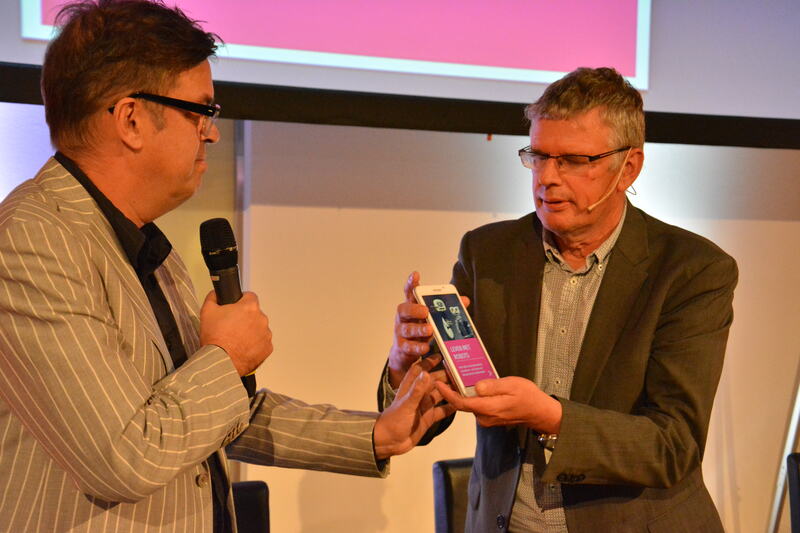 He handed over the ‘first’ copy of the new e-book ‘Living with robots’ to Paul Althuis. It’s a fascinating e-book, using all kinds of new techniques to present itself to the reader. You can download it for free here. So spread the word. And until next year! 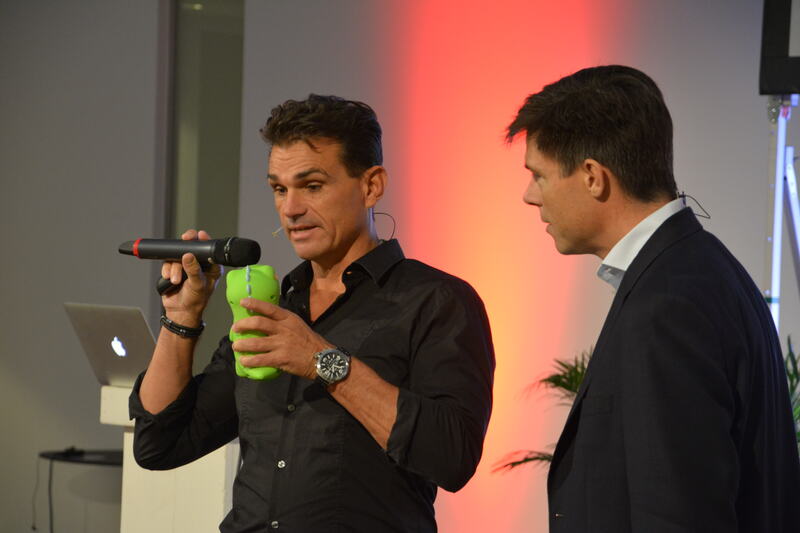 To read about the first day of the International Masterclass Robotics 2016, click here.